Stamp till U Cramp: The Altered Alice CHAPTER 14: Winners & Honorable Mentions - Splendidly Dressed! 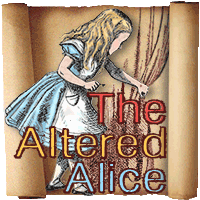 The Altered Alice CHAPTER 14: Winners & Honorable Mentions - Splendidly Dressed! April has arrived, which (in the northern hemisphere) brings thoughts of wearing your Sunday springtime best and perhaps donning an Easter bonnet! So we want to you to show us your Sunday best; ruffles, ribbons, lace, frills; however you want to interpret the challenge! The design team is so excited about showing off the brand new Wonderland Perfectly Clear™ Stamps from our sponsor, Stampendous (Website | Blog). This Alice is all dressed up from her shining shoes to the top of her hat, not to mention her frilly parasol! We will have THREE winners this month, and they will each receive the same Wonderland stamp set the design team is using! 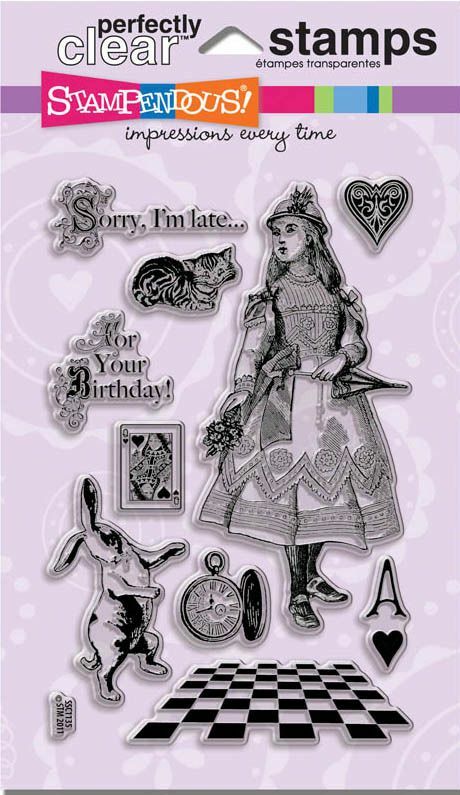 Stampendous has been a leading manufacturer of craft rubber stamps and accessories for over 30 years. With a wide variety of images, all drawn by artist/owner Fran Seiford, Stampendous has something to appeal to any stamper, scrapbooker, or home décor crafter! With the new Fran•táge Collection of stamps and essential accessories, Fran has embraced the vintage, collage look that is so popular in crafts today. The Wonderland Perfectly Clear™ Stamps Set is part of this collection and coordinates beautifully with the new vintage Embossing Enamels, Crushed Glass Glitters, Mica Fragments and Color Fragments in the Fran•táge Essentials. You can find Stampendous products at your local craft retailer or on the web at www.stampendous.com. Hundreds of ideas from Stampendous artists, an active Design Team, and fans world wide can be seen on the Stampendous Impressions Blog as well as on their Facebook Page and Flickr Group. Visit us on Twitter (@stampendous) and see our favorites on Pinterest.